The Nationalism Project Blog: American Muslims: "Will We Ever Belong?" At its best, nationalism unifies people and encourages them to build vibrant cultural, political, and economic traditions. At its worst, nationalism is exclusive. It creates insiders and outsiders, fueling violence, hatred, and worse. Or, at least, that is a dichotomy that apologists for nationalism often draw. The current environment in America is nothing if not exclusive. Opinion polls show a growing distrust of Islam and events certainly reflect a growing threat of violence against Muslims. A small church in Florida plans to burn the Koran to mark the anniversary of 9/11—a plan that sparked international condemnation because the Koran is, for Muslims, literally the word of God. It is sacred. A Muslim cab driver in New York was recently stabbed. Right wing politicians such as Newt Gingrich and Sarah Palin seem anxious to add their voices to the debate, roundly condemning what they view as extremism in the Islamic community. Whereas the overwhelming majority of American Muslims view themselves very much as Americans with a long and proud history in the United States, they increasingly find themselves defined as outsiders. In the same story, Eboo Patel, founder and director of Interfaith Youth Core, a Chicago-based community service program that endeavors to reduce religious conflict, said "I am more scared than I've ever been—more scared than I was after Sept. 11." None of this is entirely new. Edward Curtis, an historian at Indiana University-Purdue University and author of Muslims in America: A Short History, told National Public Radio that at least some Americans have feared Islam since the colonial period (when the first Muslims arrived in the Americas). "Cotton Mather thought that Muslims were a sign of a Christian schism," the author said. "That kind of misunderstanding or negative view of Islam has been with us always. It's kind of come and gone in cycles." Yet the current anti-Islam backlash is different, if only because there is now a significant Muslim population in the United States. Curtis added "I would say that until there was a significant population of Muslims here ... that kind of prejudice didn't lead into discrimination and hate crimes until really pretty recently." In recent days, a group of concerned Muslims decided to respond with an educational campaign, My Faith, My Voice, a series of web ads that challenge the more xenophobic ideas being voiced. 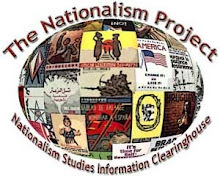 The entire debate raises an interesting question about nationalism: is it possible to have an inclusive nationalism or does nationalism necessarily have a disturbing and hateful underbelly? I often cite Michael Billig's excellent distinction between nationalisms, noting that nationalism is most often banal. During such periods, nationalism can be inclusive. Yet in moments of crisis, which themselves might be as pedestrian as a sporting match, hot nationalism emerges with its often xenophobic fears. For many Americans, this certainly feels like a period of crisis. Unemployment is high, many politicians seem anxious to raise the temperature of debate for their own ends, and the war in Afghanistan drags on. As a result, America's usually banal nationalism turned hot. The proposed Muslim cultural center near ground zero, still raw memories of the terrorist attacks, the on-going war against the Taliban, and a total unwillingness on the part of all too many public figures to clearly distinguish between Islamic (religious ideas premised on a desire for peace dating from the seventh century) and Islamist thought (an extremist and xenophobic political ideology dating from the twentieth century) made Muslims the logical target. Just as there was little effort by Charlemagne's regime to understand the "Saracens" battled in the medieval poem Song of Roland, so now many American nationalists strike out at a convenient "other." Is it possible for humans to remain inclusive in a crisis or is the desire to assign blame simply too strong? Can educational campaigns reverse the slide toward fear?